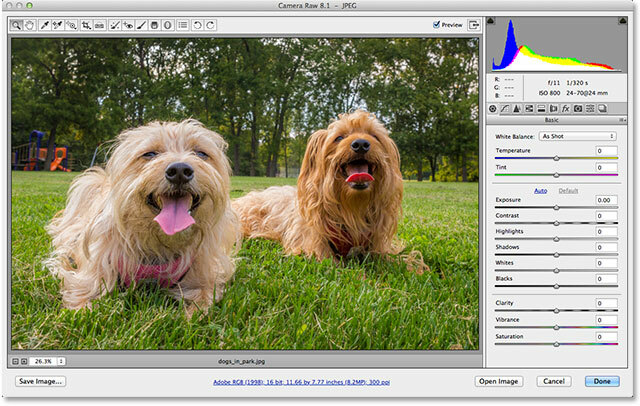 In the previous tutorial, we learned the basics of cropping images in Camera Raw using the Crop Tool. In these related tutorials, we'll learn a couple of ways Camera Raw can be used to straighten an image non-destructively. We'll start in this tutorial by learning how to rotate and straighten an image using the Crop Tool itself (along with a handy feature found in the Crop Tool's menu). 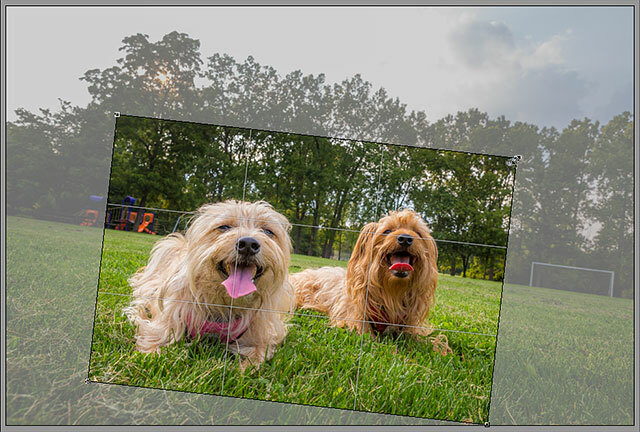 Then, in the next tutorial, we'll learn how to combine the Crop Tool with Camera Raw's Straighten Tool to straighten photos quickly and easily. 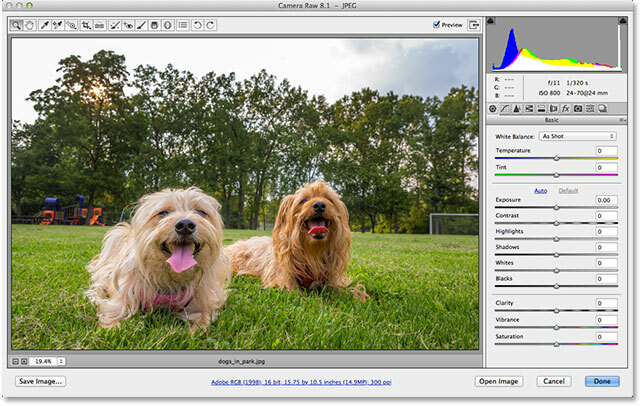 As with the previous tutorials in this Adobe Camera Raw series, I'll be looking specifically at Camera Raw 8, part of Photoshop CC (Creative Cloud) and available as a free upgrade (from Camera Raw 7) for Photoshop CS6 users. 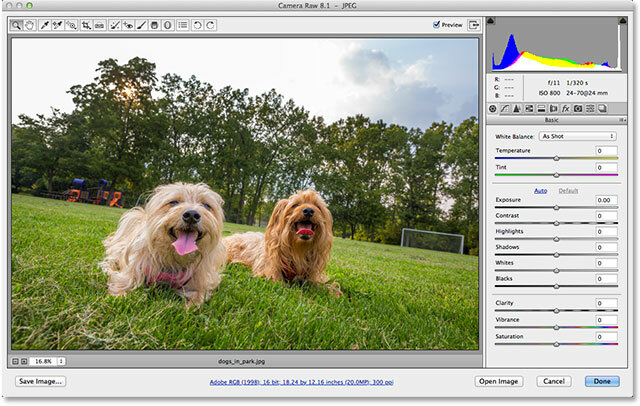 The Crop Tool in Camera Raw's toolbar. 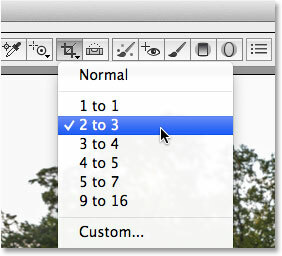 Selecting a preset aspect ratio from the Crop Tool menu. Clicking and dragging outside the crop box to rotate it. 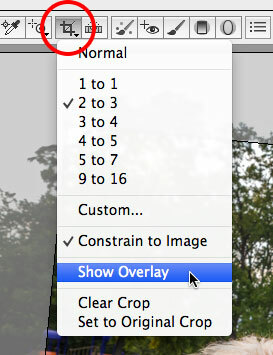 Choosing "Show Overlay" from the Crop Tool menu. 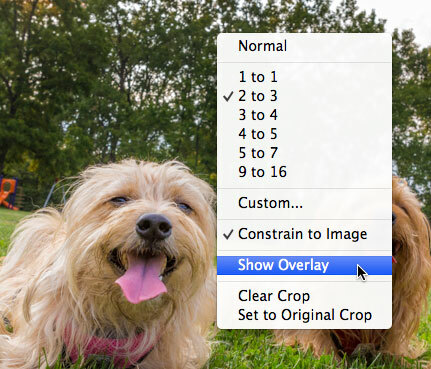 Right-clicking (Win) / Control-clicking (Mac) and choosing "Show Overlay" also works. The Show Overlay option initially displays a 3x3 grid. Rotating the crop box to line up the grid lines with something that should be straight. Resizing the crop box after straightening the image. Press Enter (Win) / Return (Mac) to accept the crop. Reselecting the Crop Tool, then resizing the cropping border. And there we have it! That's how to rotate and straighten an image using the Crop Tool and the Show Overlay option in Adobe Camera Raw 8! Check out our Photo Retouching section for more Photoshop image editing tutorials!